Last fall my brother and I traveled to Nova Scotia, our first stop... the city of Halifax. Upon arrival we checked in to our hotel and then grabbed a bite to eat. After we finished a delicious meal of fresh scallops with risotto, we decided to go for a much needed walk along the waterfront. The sun was setting and it was starting to get dark, so we decided to head back to our room. "Theodore Tugboat welcomes you to the Big Harbour". Upon close inspection of this exhibit I saw a small sign that said a full size Theodore Tugboat was docked in the waterfront near the museum. Then it dawned on me...it was Theodore I saw the night before. I breathed a sigh of relief knowing I wasn't seeing things and that I hadn't completely lost my mind, although many people may argue that last point. Theodore Tugboat is a Canadian children's television series created by Halifax native Andrew Cochran for his three year old son. The story revolves around a tugboat named Theodore who lives in the Big Harbour with all of his friends. The show originated (and is set) in Halifax, Nova Scotia, Canada as a co-production between the CBC (Canadian Broadcasting Corporation) and the now defunct Cochran Entertainment. The models displayed in the Theodore Tugboat exhibit were used in the filming of the show. Development of the series started in 1989, with production of Theodore Tugboat commencing in 1992 and ending in 2001. In total, one hundred and thirty episodes were created. Its distribution rights were later sold to Classic Media (now DreamWorks Classics). The show premiered in Canada on CBC Television, then went to PBS (Public Broadcasting Service). At one time Theodore Tugboat appeared in eighty different countries, teaching children around the world life learning issues portrayed by the tugs or other ships in the harbour. Most often, the tugs have a problem or get involved in a struggle with each other or another ship, but they always manage to help one another resolve these problems and see them through. 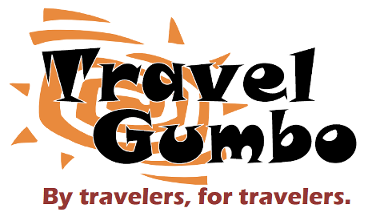 Their main focus however, is to always make the Big Harbour the friendliest harbour in the world, and to always do a good job with their work related tasks. I was also surprised to discover that Dennis Doherty, the late member of the rock band the Mamas and the Papas, was born and reared in Halifax, and voiced all the characters on the show, including being the Harbormaster who introduced each show. As I left the Theodore Tugboat exhibit, a flood of memories started coming back to me, for my children and their friends watched this show when they were young. When my brother and I left the Maritime Museum of the Atlantic, we walked along the waterfront. After a brief stroll, we saw Theodore (aka Theodore Too), a large-scale imitation tugboat designed by Fred Allen and naval architect Marius Lengkeek of Lengkeek Vessel Engineering. Theodore Too was built in 2000 by Snyder's Shipyard in Dayspring, Nova Scotia, on the Lahave River, not far from Bridgewater, Nova Scotia. It's length is 65 feet, it's beam is 22 feet, it's tonnage is 105, and it has a 400-horsepower 300 kilowatt Caterpillar 3406 turbocharged diesel engine. The hull and wheelhouse are made entirely of wood, with a fibreglass hat and smokestack. It has a 'face' on the funnel, with large realistic hydraulic eyes which are no longer operational. The boat displays a number of prop details such as winches and towing bitts inspired from real tugs. After sea trials out of Lunenburg, the vessel made its first port call to Halifax on May 6, 2000. The ocean-going boat made a 50-city tour down the eastern seaboard to Tampa Bay and back again through the Great Lakes to Chicago. Theodore Too became the Ambassador of the U.S. National Safe Boating Council and mascot to the U.S. Coast Guard, participating in several tall ship events. For most of its time touring the eastern seaboard and Great Lakes, Theodore Too had a full-time three-person crew, headed by Captain Bill Stewart, a 25-year veteran tugboat captain, who also had an additional nine years as a 44-foot motor lifeboat coxswain in the Canadian Coast Guard. After Cochran Entertainment went out of business, the boat was purchased by a Halifax tour boat company. The vessel now provides tours of Halifax Harbour in the summer. So, if you ever find yourself visiting Halifax, Nova Scotia, be sure to say hi to Theodore. What a wonderful cheeky chappy Theodore is ! Art "On the Go" must rank high up there - with Street Art. Anything - that's unexpected - that puts a smile on people's faces is priceless. We have "Snowdrop" on the River Mersey in Liverpool UK. Folks point and shout "Look" to their kids. Its great to see that look on their little faces - and some big faces too !! 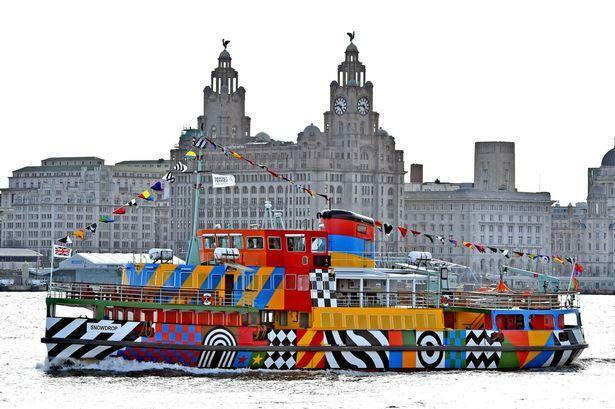 Thanks for sharing your story and picture regarding THE MERSEY FERRY "SNOWDROP". That's quite the ship. I can imagine the look on peoples faces when the "Snowdrop" goes by. As for myself, I had to put my shades on so that I could carefully study your photo. I hope that one day I'll be in the River Mersey Liverpool area to be able to see the "Snowdrop" in person. I want to be one of those faces who get that "Look" after seeing something special, especially as you put it "Art On The Go".